The first decades of the 21st century marked a moment in time when international trade and investment patterns evolved rapidly, revealing a complex landscape of global production chains. Services play an increasingly important role in this process not only as direct contributors to the value chain (financial services, telecommunication, IT, logistics) but often even more importantly in an indirect way by being incorporated in manufacturing products. A growing share of manufacturing goods can no longer be simply referred to as ‘goods’ but should be regarded as a complex bundle of products and services. What would be the value of a smartphone without the software applications in it? However, WTO treaties are still written on the basis of a clear separation of goods (GATT) and services (GATS) trade rules. The GATS four modes of services supply do not account for the fact that a substantial and increasing share of services is being embodied in a wide range of manufactured products and traded around the globe. Delivering services as part of goods led to a new term being coined: mode 5 services trade – services in “boxes” traded under GATT rules (Cernat and Kutlina Dimitrova, 2014). There is growing evidence suggesting that mode 5 is becoming even more important than some traditional GATS modes of supply. Mode 5 services trade is already quite substantial: in the case of Europe, it accounts for over €300bn, roughly a third of EU merchandise exports. Moreover, 8 million (1 out of 4) trade-related jobs in Europe are supported by mode 5 services trade (Cernat and Sousa, forthcoming). But mode 5 services are not important just for Europe. The servicification phenomenon cuts across national boundaries, continents, and virtually all industrial sectors. From a trade policy perspective this leads to a paradox: when traded ‘in boxes’, as part of products, mode 5 services pay duties and are subject to a different set of non-tariff trade barriers compared to the same services when traded under GATS rules. One implication of this fact is that tariff cuts and regulatory cost reductions for manufactured products could have a direct positive impact on services exports. However, such benefits can be reaped only if current rules affecting mode 5 services are made more coherent and in line with global value chains. Products are designed in one country, software is produced in another, and assembly may be carried out in a different continent, with engineering and technological solutions belonging to firms registered in multiple countries. In this process mode 5 services are subject to both GATS and GATT-related rules that are not fully adapted to the way in which design, R&D, software, and other business services are embedded in goods traded internationally. The outcome is that current trade rules are suboptimal: instead of facilitating services trade along global supply chains, they may stifle them. The best example that illustrates the inconsistencies of current trade rules when it comes to mode 5 services trade is the fact that the same service (e.g. software) can be traded internationally under GATS (e.g. under mode 1) without paying any customs duties, whereas if the software is embedded in a car or industrial equipment it will be subject to the duty rates applicable to that product. Such inconsistencies could be addressed by refining the existing trade rules, either at the multilateral or bilateral level. For instance, WTO customs valuation rules allow already for duty-free preferential treatment of certain domestic ‘mode 5’ services exports (e.g. design, artwork, etc.) when re-imported as part of foreign products. However, mode 5 software services are not part of that list, probably since software did not really have an important role when the WTO Customs Valuation Agreement was drafted. This inconsistency may become more problematic as recent advances in 3D printing, robotics, and the Internet of Things will increase the software intensity and the R&D content of manufacturing, and thus increase the share and importance of ‘mode 5’ in world trade. Trade rules are enshrined in international treaties set to last forever but the rest of the world is more dynamic. Both at multilateral and bilateral level, we need to ensure that trade rules will remain in line with technological changes and business realities. The mode 5 services example provides a good opportunity to further reflect on how GATT and GATS rules operate when it comes to 21st century technology-intensive manufacturing sectors. 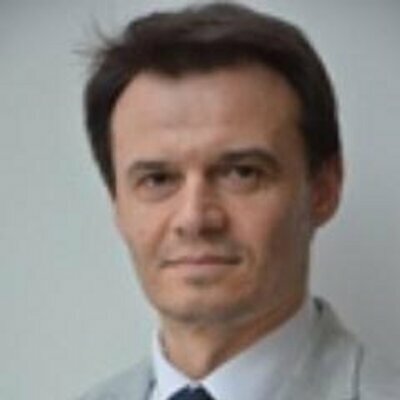 Lucian Cernat is Chief Trade Economist at the European Commission. The views expressed herein are those of the author and do not necessarily reflect the views of the European Commission. What can international standards on services do for GATS?